Niantic has made no secret of the fact you can connect Pokémon GO to Pokémon: Let’s Go, Pikachu! and Let’s Go, Eevee!, allowing you to transfer your favourite monsters between your phone and Nintendo Switch. There are numerous benefits for doing this, like earning bonus XP and Candy, the Mystery Box item, and to see your favourite monsters wandering around your GO Park on the big screen. Setting up the connection and transferring Pokémon is pretty easy too – at least, once you know how. That’s what this guide is for, to each you the basics. Simply follow the super simple steps below and you’ll connect Pokémon GO and Let’s Go faster than you can say, errr, let’s go. Boot up Pokémon GO on your phone and Pokémon: Let’s Go on your Switch. On Pokémon GO, hit the Poké Ball to view the main menu, then hit ‘Settings’. Select ‘Nintendo Switch’ and then opt to ‘Connect to Nintendo Switch’ to activate pairing mode. Now go back to Pokémon: Let’s Go and press ‘X’ or the up arrow to open your menu (or the menu button on the Poké Ball Plus) then hit ‘Y’ to enter ‘Options’. Scroll up to ‘Open Pokémon GO Settings’ and select it. Press ‘A’ or the right arrow and choose ‘Yes’ when the game asks you if you’d like to pair with Pokémon GO. Pokémon: Let’s Go will then search for a nearby Pokémon GO account and should find yours after a short interval if you’ve followed the instructions correctly. Hit ‘Yes’ to pair and you’re good to, errrrrr, go! Follow the steps above to pair Pokémon GO with Pokémon: Let’s Go and you’re ready to start transferring Pokémon. It’s important to note though that you can’t actually access this feature until you reach Fuschia City, which is a little ways into the game. Boot up Pokémon: Let’s Go and head to Fuschia City. Visit the ‘GO Park Complex’ and speak to the attendant. Select the option to ‘Bring Pokémon’. Boot up Pokémon GO and hit the Poké Ball icon then tap ‘Pokémon’. Tap the Nintendo Switch icon at the top right of the next screen. Select the Pokémon that you’d like to transfer to Pokémon: Let’s Go and then hit ‘Send to Nintendo Switch’. Your Pokémon should then appear in GO Park within Pokémon: Let’s Go. Below, we’d like to round up a bunch of frequently asked questions involving transferring so you know what you’re getting yourself into by using this feature. What’s The Point In Transferring Pokémon? Other than for the pure joy of hanging out with your favourite Pokémon on the big screen, transferring Pokémon to Let’s Go from GO serves two pretty important purposes. Firstly, and most importantly, it lets you fill out your Pokédex much faster than normal. Heck, you might even be able to transfer enough Pokémon right away to fill out your Pokédex immediately. The second, and most exciting, reason to transfer Pokémon from GO to Let’s Go is to get your hands on the brand new Pokémon Meltan and its evolution Melmetal. Can I Transfer Any Pokémon? Nope! As of this moment, you can only transfer Pokémon from the Kanto region, as well as Meltan, and Melmetal. 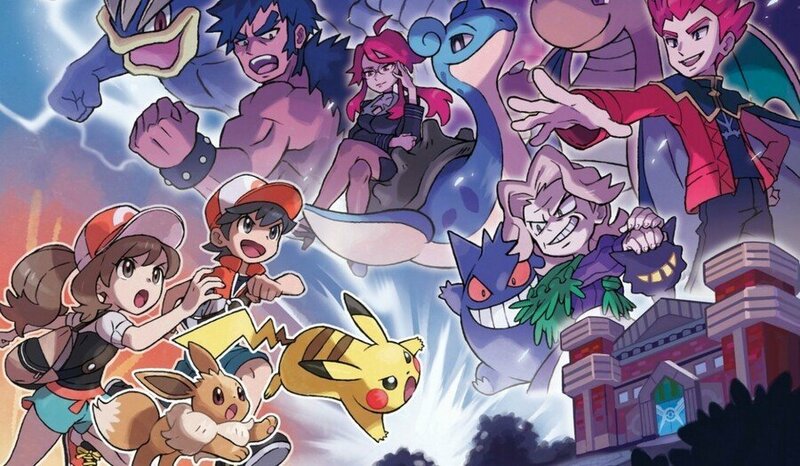 However, Game Freak made it clear that if Pokémon: Let’s Go is sufficiently popular, that we could see other regions make the cut later on, paving the way for the rest of the Pokémon to join the game. Will My Pokémon Be Exactly The Same? No, a Pokémon’s stats will be affected in the transition. This is due to the fact that Pokémon GO features only three stats (or IVs) in attack, defence, and stamina, but Let’s Go splits these into six. During the transfer, a Pokémon’s stats will adapt to the new system accordingly. It should perform comparably to its Pokémon GO version, despite the slight difference in stats. Can I Transfer Pokémon From Pokémon: Let’s Go To Pokémon GO? No, you can only transfer Pokémon from Pokémon GO to Let’s Go at this time. You can’t even transfer Pokémon back once transferred. Is There A Limit To The Number Of Pokémon GO Accounts I Can Connect To Nintendo Switch? No limits! You can connect an unlimited number of Pokémon GO accounts to Let’s Go, including your friend’s and family’s accounts. What Is The Mystery Box And How Do I Use It To Unlock Meltan? The Mystery Box is a special item you earn in Pokémon GO when you first transfer a Pokémon to Let’s Go. When you use it, you’ll have an increased chance to catch Meltan for a limited time. When the box closes, you’ll have to wait seven days to open it again. If I Lose Connection While Transferring Pokémon, Will I Lose Them? That is a possibility, yes. Your best bet is to only transfer Pokémon when you’re in an environment with a secure and stable network connection. Was this guide useful? Have you successfully transferred any Pokémon between Pokémon GO and Pokémon: Let’s Go? Let us know in the comments section below. You can get a high level prestige legit stats on your own account for CoD BO3 / COD BOIII for as little as $25 USD. All of our PS4 CoD BO3 packages include dark matter on all of your CoD BO3 guns and hero gear. You'll be showing off your shiny guns to everyone on CoD Black Ops 3 after buying this. NomanGaming is a worldwide provider of multiple video game platform keys, in-game currency, in-game items and power levelling features. Are Fortnite’s constant weapon additions and vaults good for the game?